LIVERMORE, Calif.,– A 107-year-old light bulb in California has been deemed by Guinness World Records and Ripley’s Believe It Or Not as the word’s longest-ever burning bulb. The low-watt rarity has been burning nonstop in the Livermore, Calif., Station No. 6 firehouse since 1901, the Los Angles Times reported Monday. 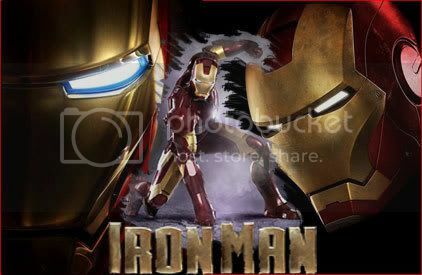 “This fragile thing that wasn’t meant to last has outlived the company that made it, people who first screwed it in, people who have written about it and who have kept watch over it,” said Edward Meyer of Ripley Entertainment. The bulb even has its own web-cam and a Web site named centennialbulb.org, which is viewed a million times each year, the Times said. 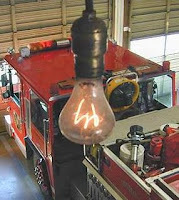 It is reported many people think the bulb has burned so long because it is never switched off. Do you have the looks? I have tried earning money through PPC sites but it's just time consuming. Then I thought that, what about use my blog to earn money as my other fellow blogger told me after earning a page rank of 4 in google. Blogging was just a hobby for me and at first I didn't thought to use this to make money. After Bloggerwave gave me the opportunity to make money through them, why not I give it a shot and there's nothing to lose to try. After all I am making money while I enjoy blogging. By the way Bloggerwave pays you to post to your blog and they're aiming to be the Europe's biggest advertising media. So there are much opportunities for other bloggers out there. Register now and start making money. a very special day to all the mothers in the whole world! indeed, no one could ever replace you in your child's heart.. for as we all know, our mothers had exhausted all that they have in order for us to be born, to be loved and to see and make us feel how beautiful the world is, you made us the best even we think we are at our worst, you believed in us even if no one does.. and for that we THANK YOU SO MUCH! really, you are very special gift given by God..
to all the mothers out there and especially to our mom..